On hand to support hubby Ryan Reynolds liquor company, Blake Lively attended the Aviation Gin employee orientation event at Event Space in New York. 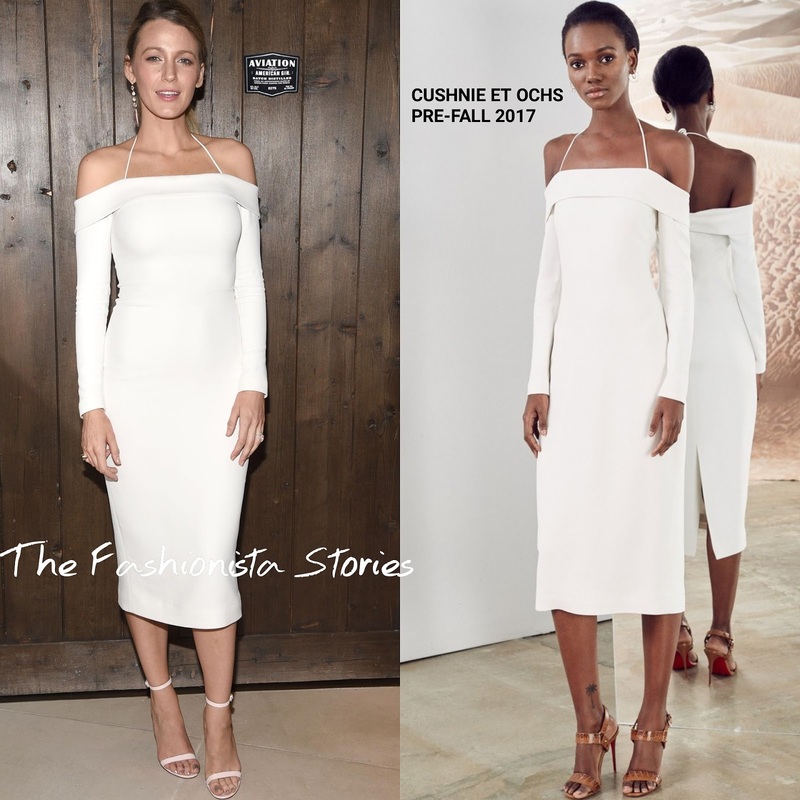 Working a simply but sultry look, she wore a CUSHNIE ET OCHS PRE-FALL 2017 white long sleeve off-the-shoulder stretch-cady dress, featuring a neck tie and back split. Love the sleek fit of this dress on Blake and I thought it worked for occasion. Statement jewelry, ankle strap sandals, minimal make-up and a ponytail rounded out her look.